Another famous song that could possibly make it to the world of picture books, with a little edit here and there. Policeman don't feature in too many picture books. This nutty and catchy tune The Laughing Policeman has been around since the late 19th century. 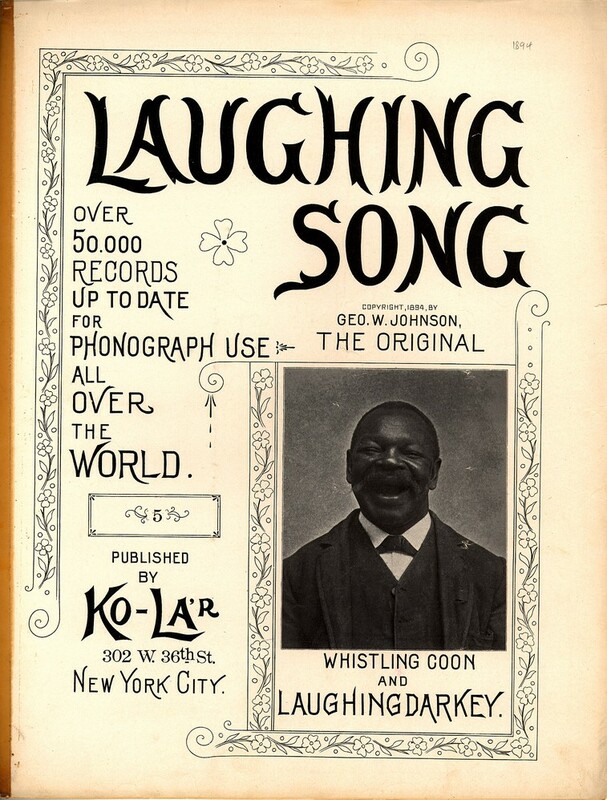 George Washington Johnson wrote the original version called The Laughing Song, Washington appears to have gone by some particularly unpleasant stage names. Music hall artist Charles Penrose later adapted the song to the one we know today. Penrose was the original Champagne Charlie. The song has had many different versions since then. British comedy actor Derryck Guyler appeared in a kids TV series of the same name, with the song as its theme. Who needs any of those when you have Ukulele Eric?! He's always on our street. He really is a treat. He's never known to frown. He is the happiest man in town!. He laughs upon his beat. When he's walking in the street. He says he's never tried. Oh ho ho ho ho ho ho. Ha ha ha ha ha ha. Ho ho ho ho ho ho ho. Ha  ha ha ha ha ha. And then he shut his eyes. He said "I must arrest you!" He didn't know what for. Until he cracked his fat old jaw. Oh ho ho ho ho ho ho ho. Ha ha ha ha ha ha. Ho ho ho ho ho ho ho. Ha ha ha ha ha ha. While walking 'round the town. And give him half a crown.